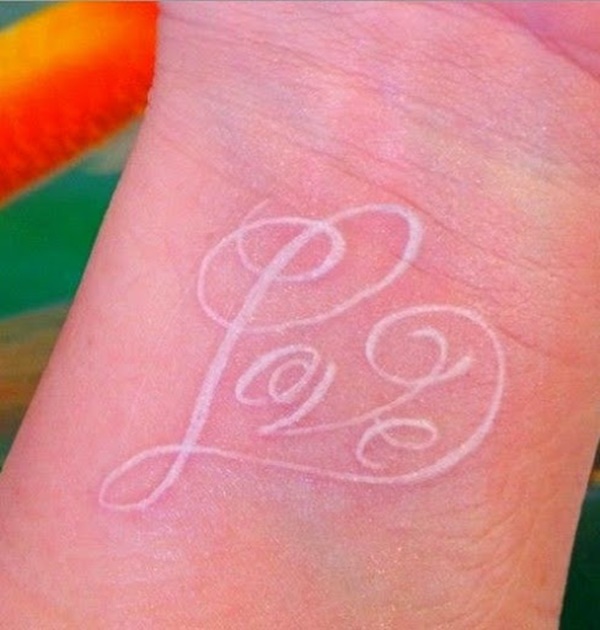 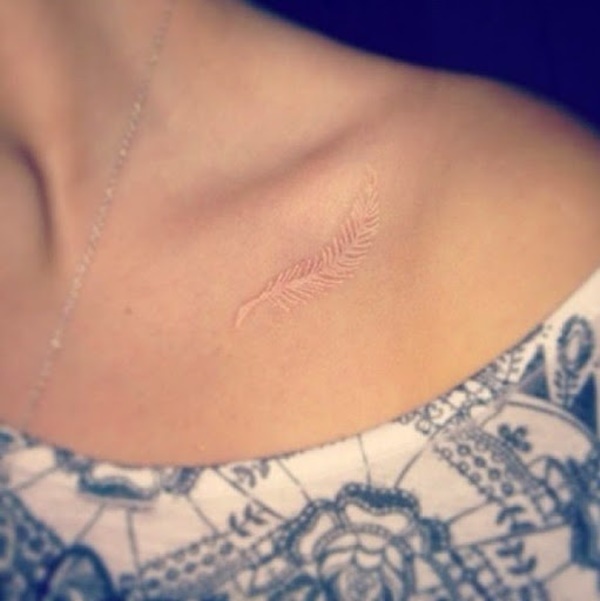 It may sound awkward to some people but actually white ink tattoos are now in vogue. 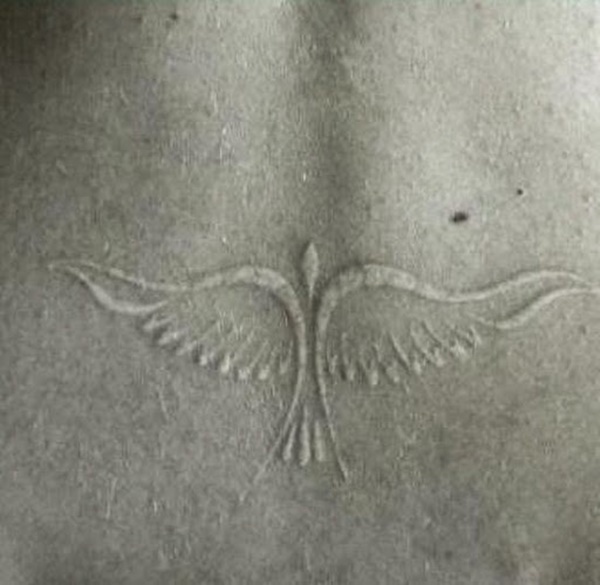 Though it was not so popular, a few years ago and now you find it having a great demand. 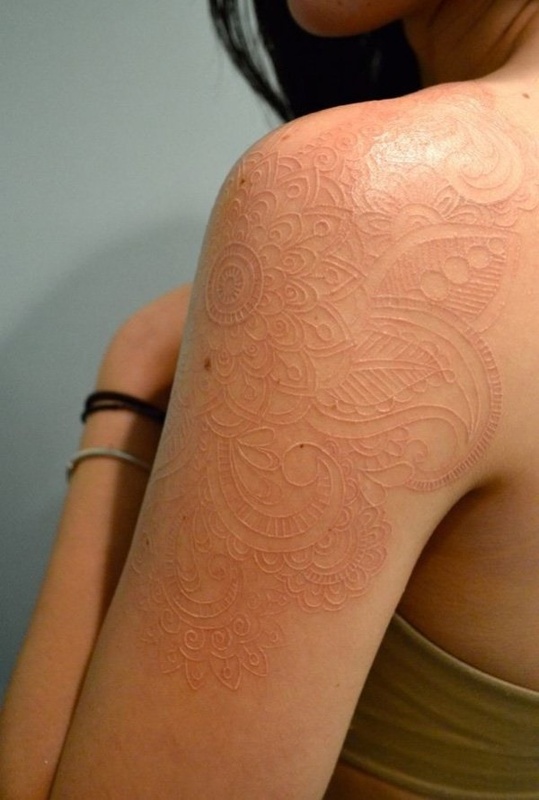 First of all, it looks very weird but frankly saying, there are many benefits of a white ink tattoo. 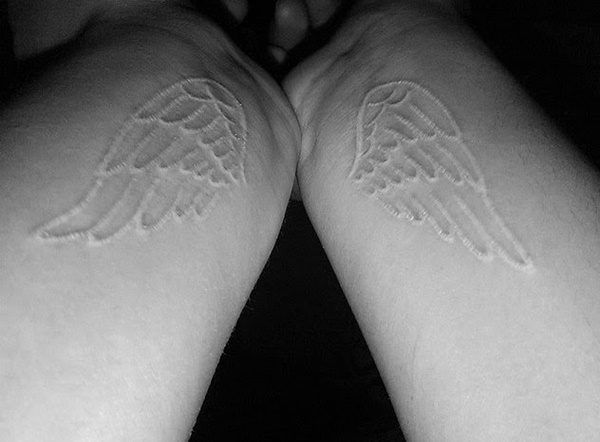 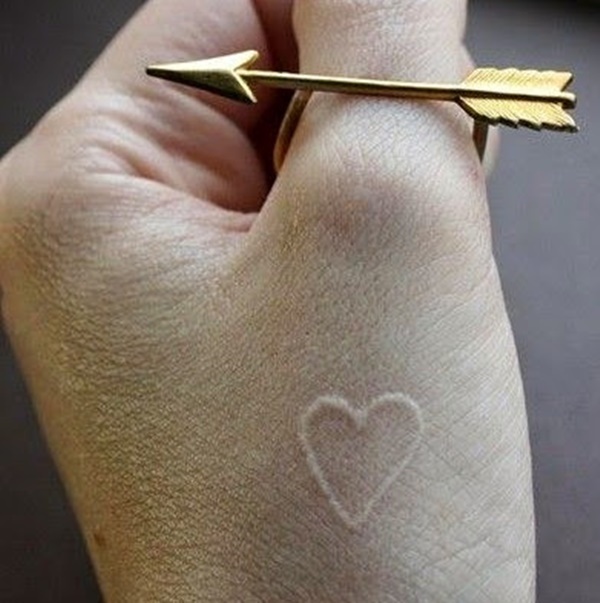 It is mainly liked by the people who love subtle details or don’t like to portray their tattoos to everyone. 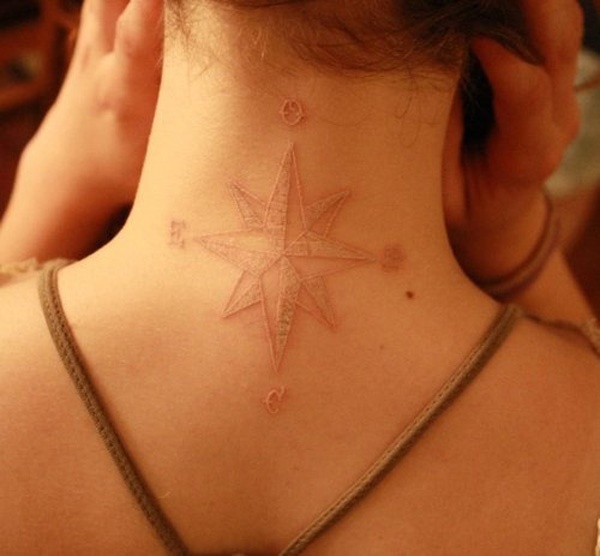 It is now very demanding among the male and female both and tattoo artists are trying to make the thing more developed. 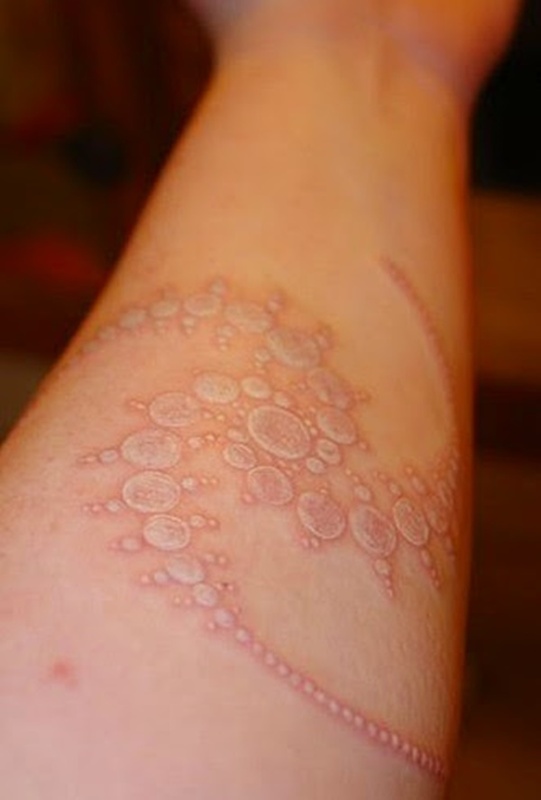 You know that tattoo ink is generally permanent and it stays for lifetime. 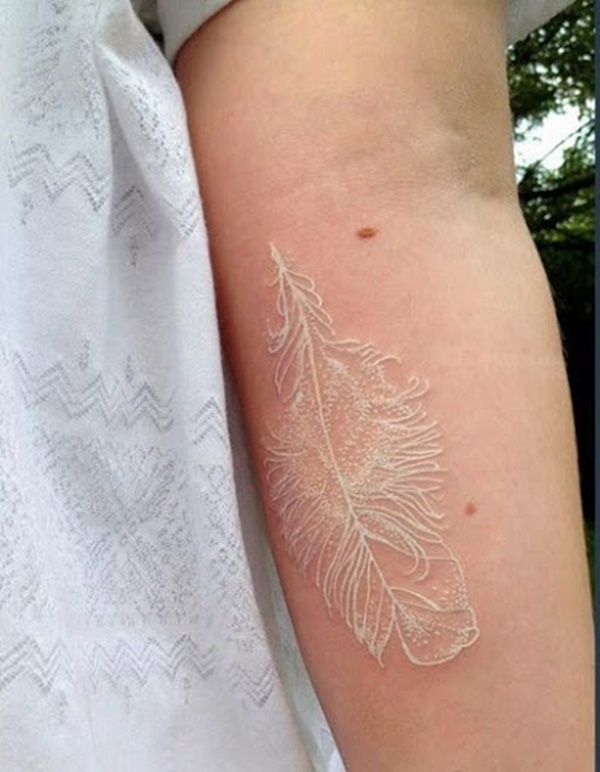 But actually, white ink fades with time. 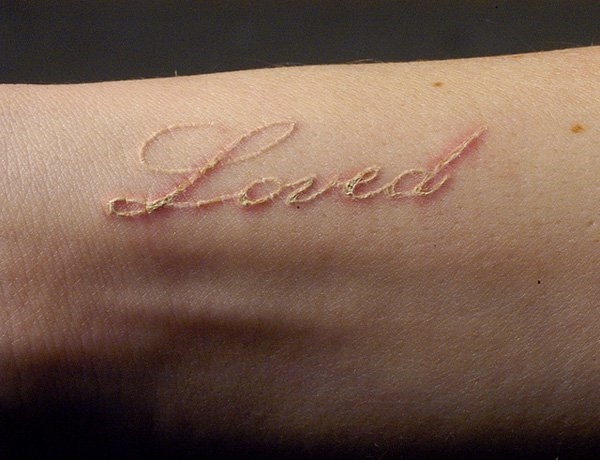 The ink used in white ink tattoos are actually metal-based pigment such as lead, Zinc and Titanium. 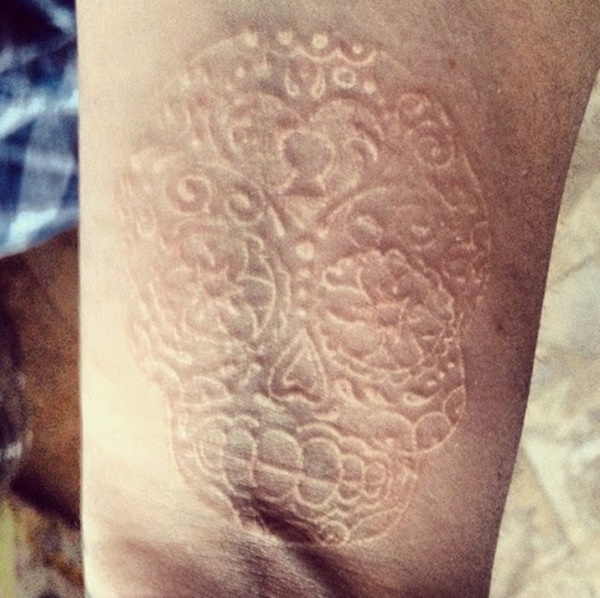 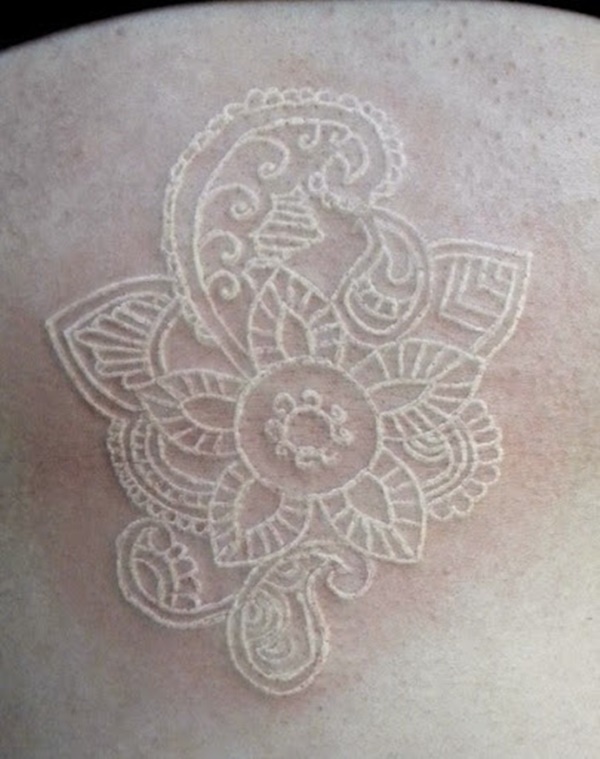 This is the main reason that white tattoos fades so quickly. 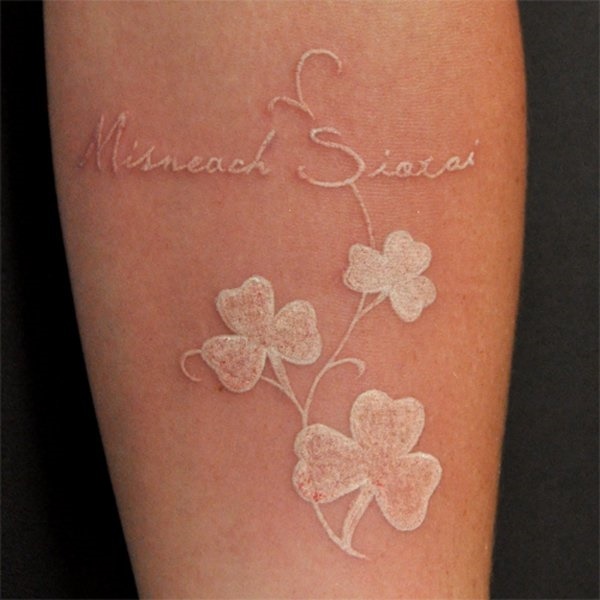 Nowadays there are many types of white ink tattoos among which the glowing tattoos or some say UV tattoos are the most famous and popular. 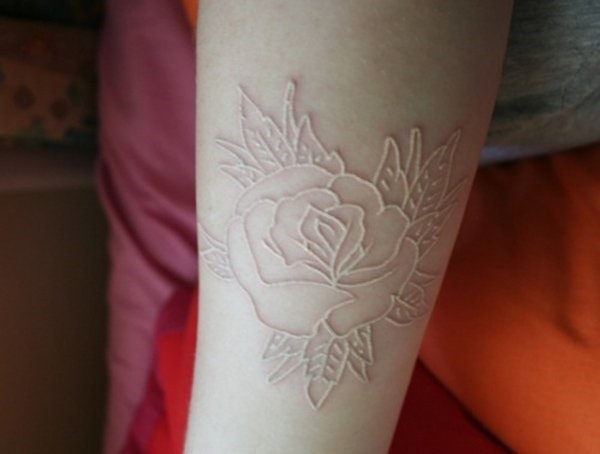 But if you really willing to have a white ink tattoo in your body, you shouldn’t step behind because of these reasons everyone tells. 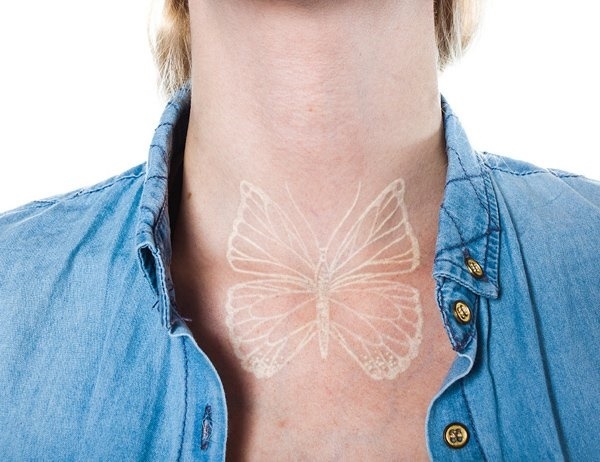 It is very obvious that a good tattoo can turn bad after a couple of years but that’s not only in case of white ink tattoos. 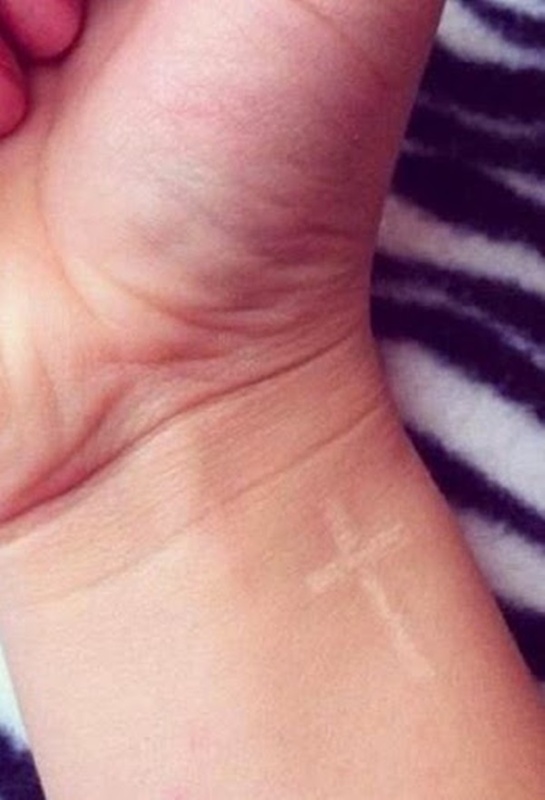 Actually, every tattoo can turn depending on various types of reasons. 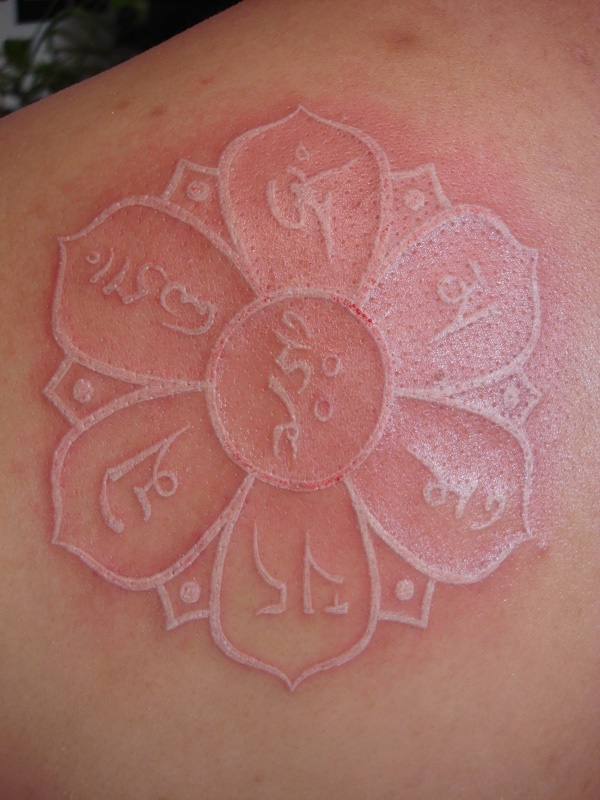 The main reasons are the type of skin, quality of the ink and of course the skill of the artist. 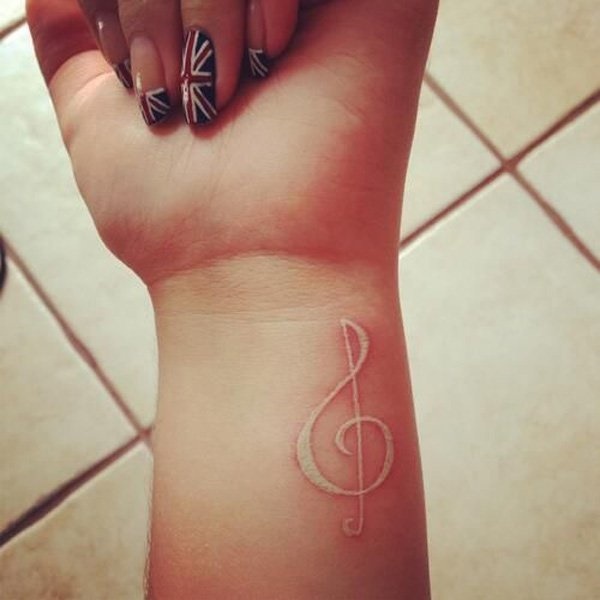 But the main thing is that you will have go to a good and professional tattoo artist for a good work. 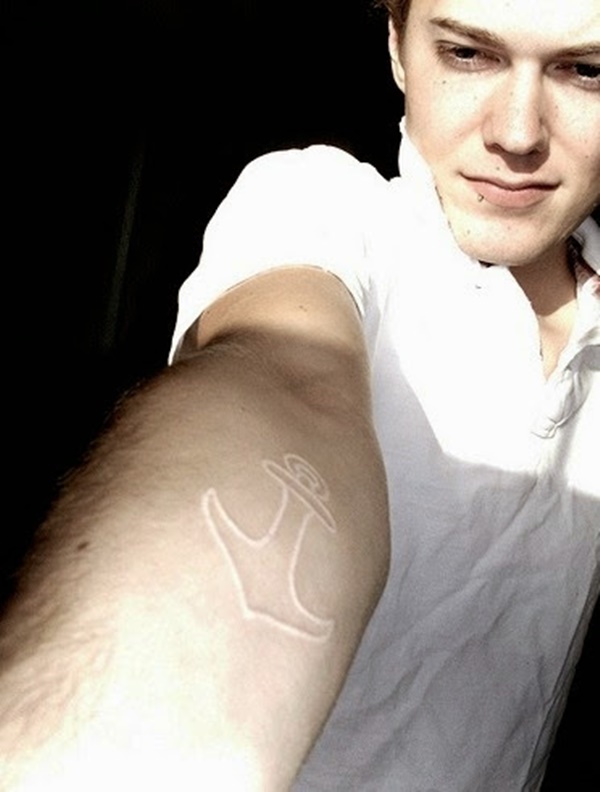 Don’t just see the money just go for the profile. 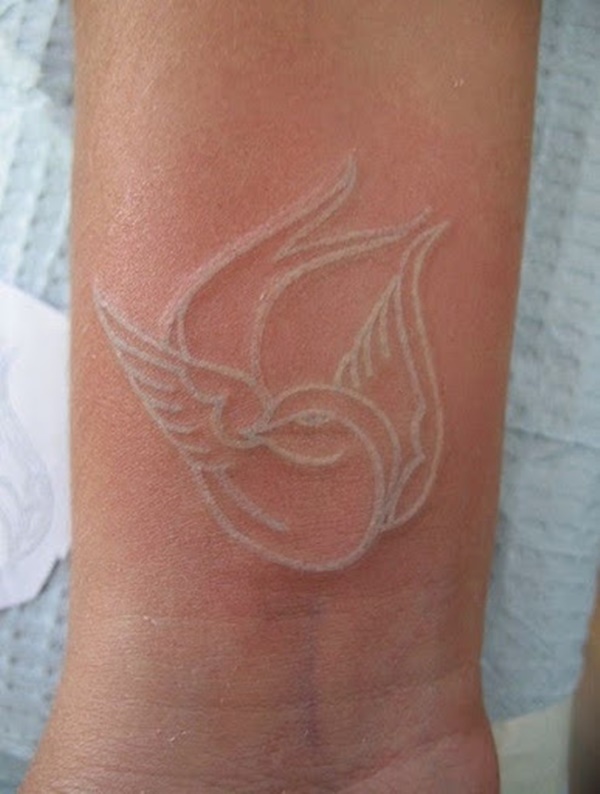 So craving a white ink tattoo on your body is great and so don’t even think of listening to others. 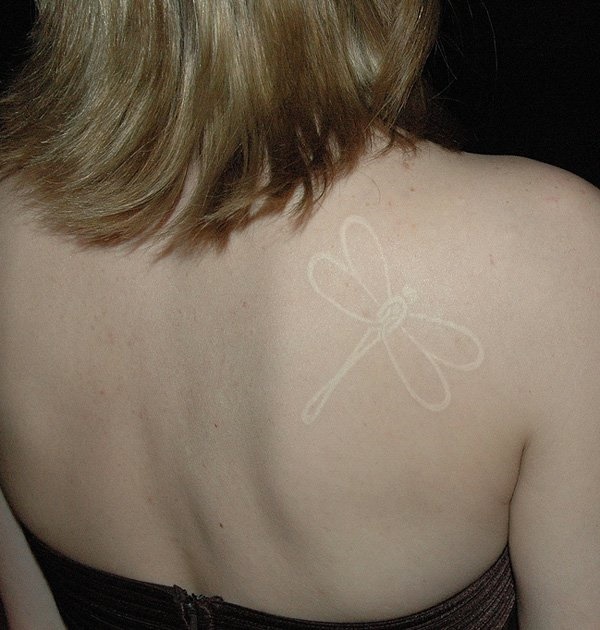 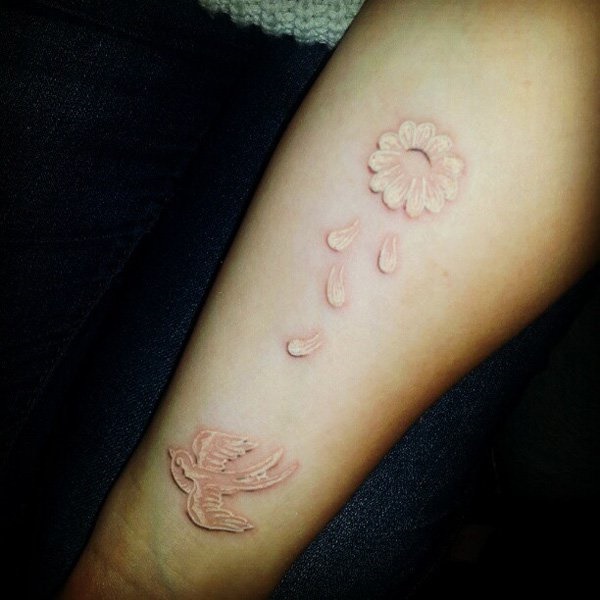 The first thing that makes a white ink tattoo special is the unpredictable appearance. 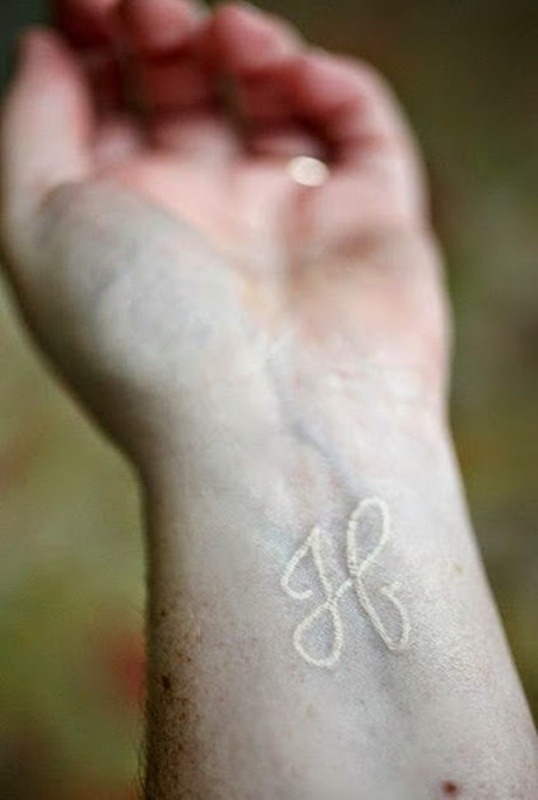 Actually it’s hard for everyone to predict a white ink in the tattoo just because tattoos are generally done black or colorful. 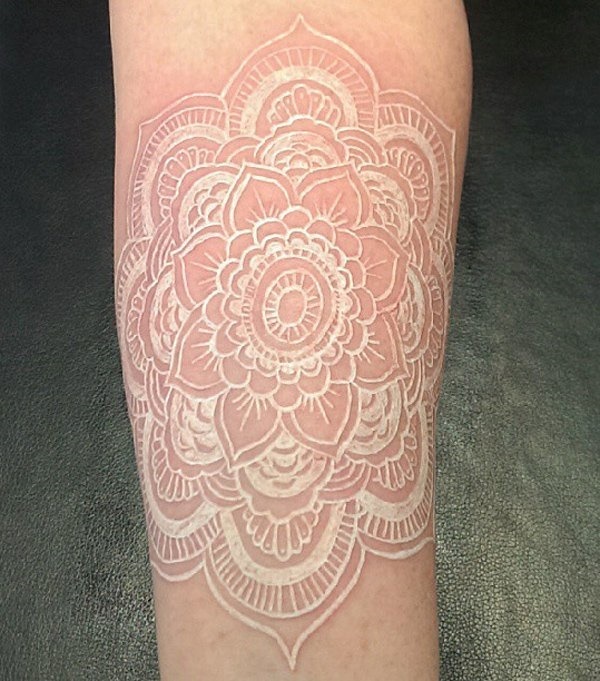 Professional tattoo artists say that you can do every kind of design with a white ink and that completely depends on your choice but the thing is that graphic designs look the best in white tattoos. 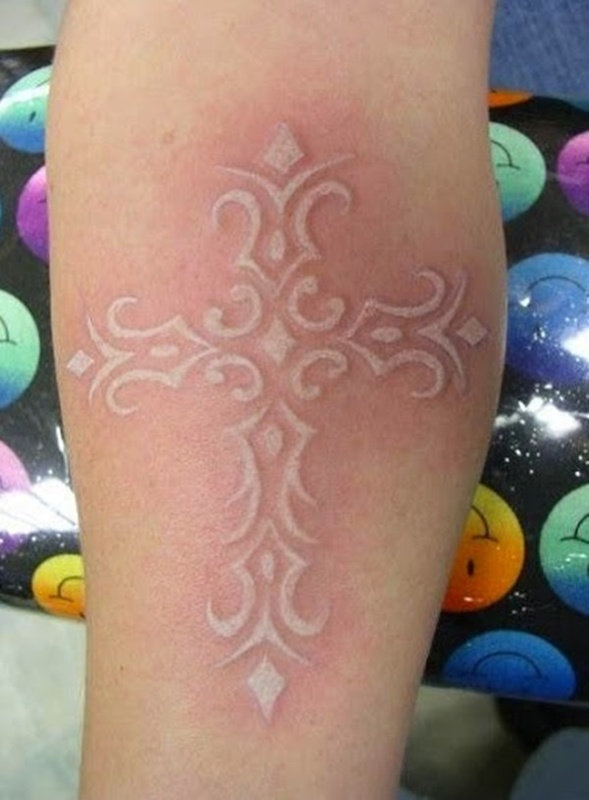 But most of the people unfamiliar with a white think think about how it will look. 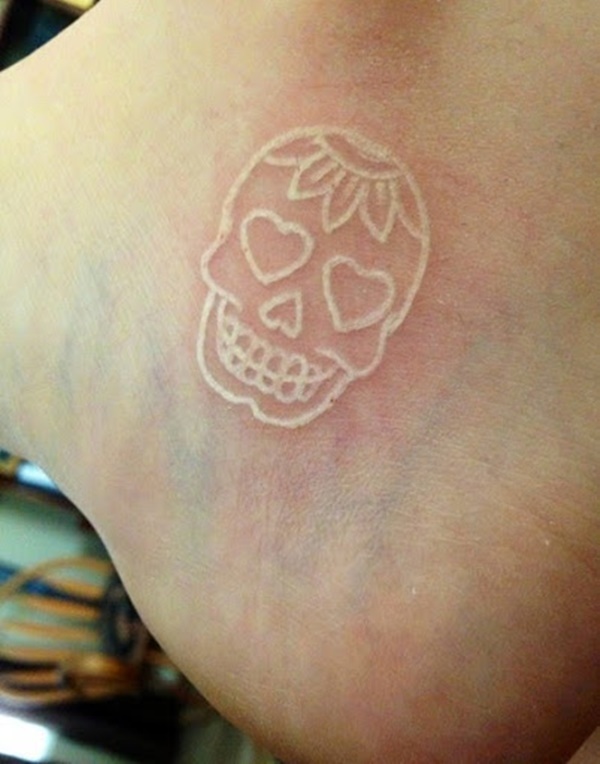 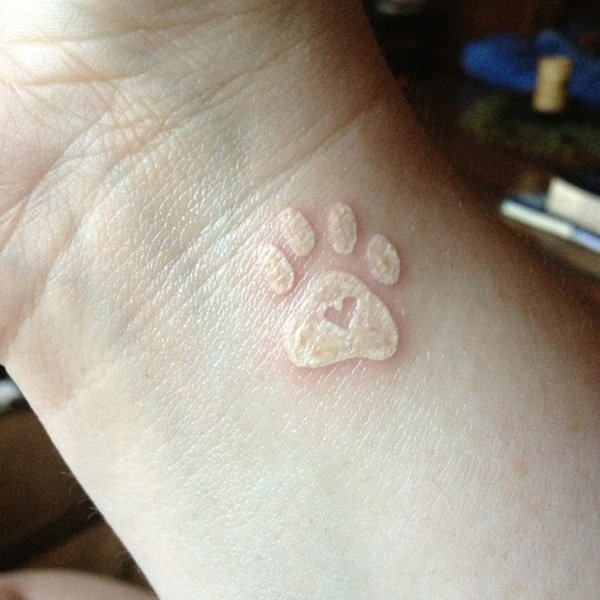 White tattoo actually looks like a scar when done and so don’t go for clumsy designs. 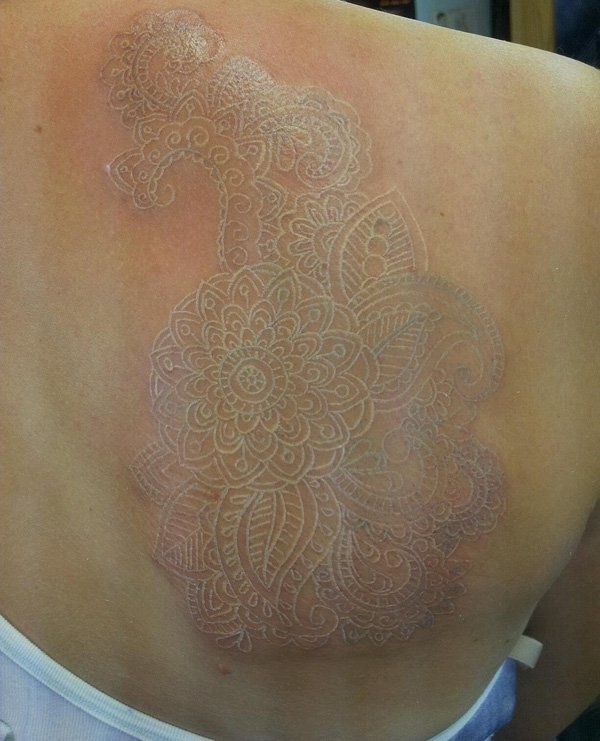 Clean designs such as geometric shapes, mandalas, tribal designs, all these look the best. 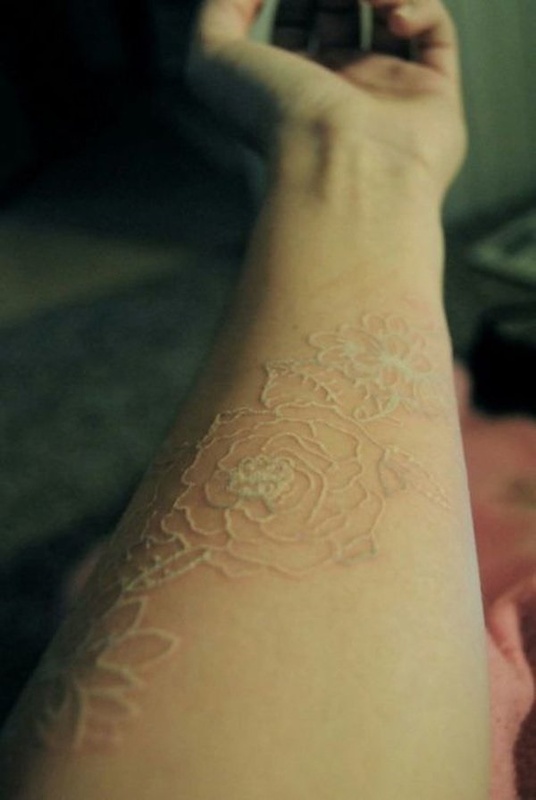 Females can try with floral designs, butterflies and many others. 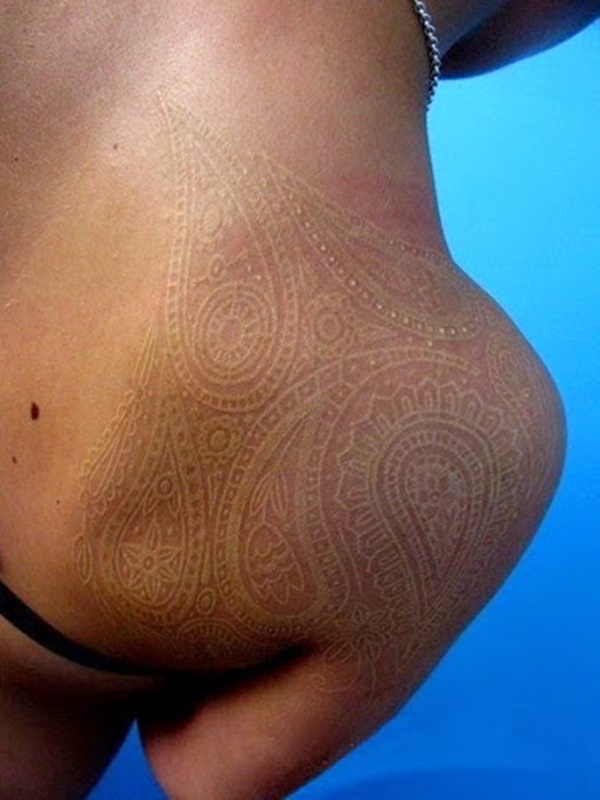 Just remember a simple thing that the darker you are, the more best it will look on your body. 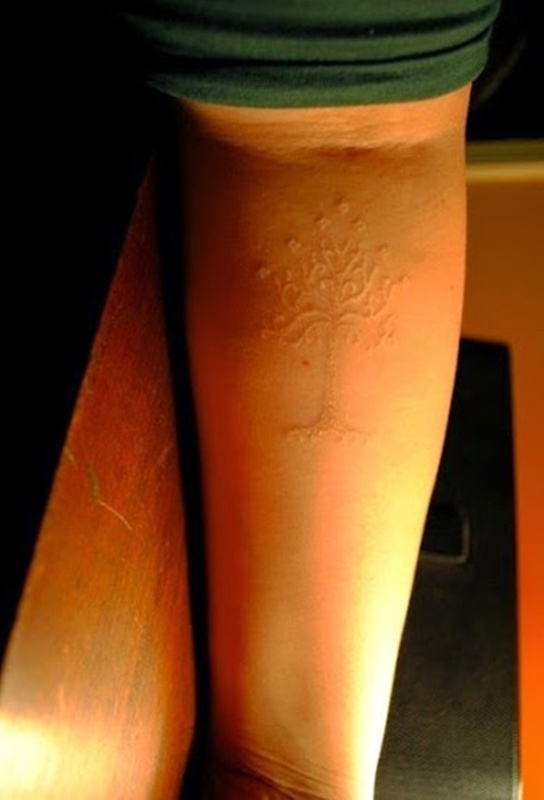 So for the inspirations, you can see the collection we have made. 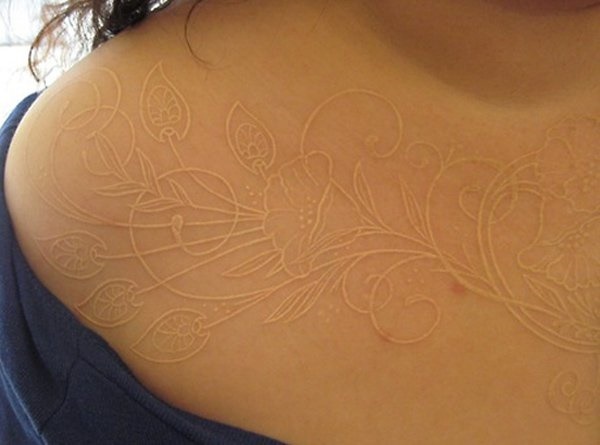 Take the design that attracts you the most add some creativity if you can. 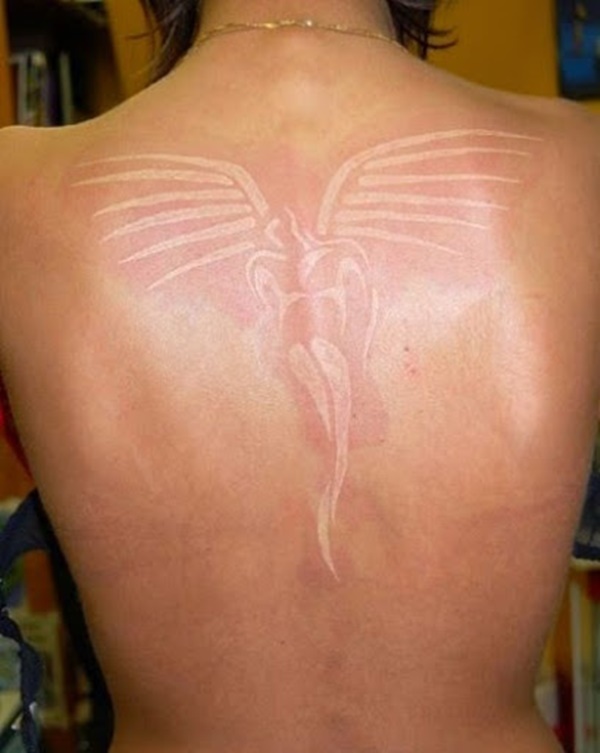 Consult with your tattoo artist about the design you are choosing and of course go for a quality. 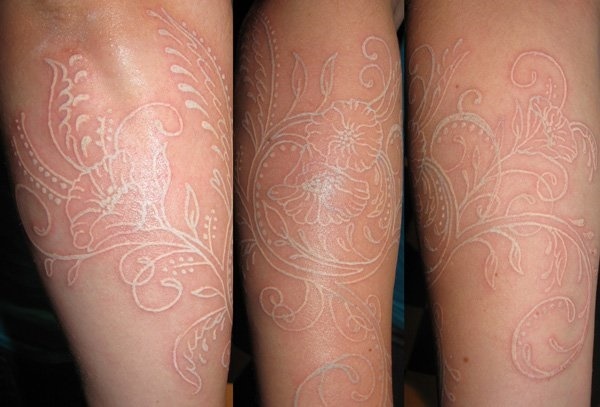 It’s better to say that White ink tattoos are actually uncommon but it is now growing it’s high demand. 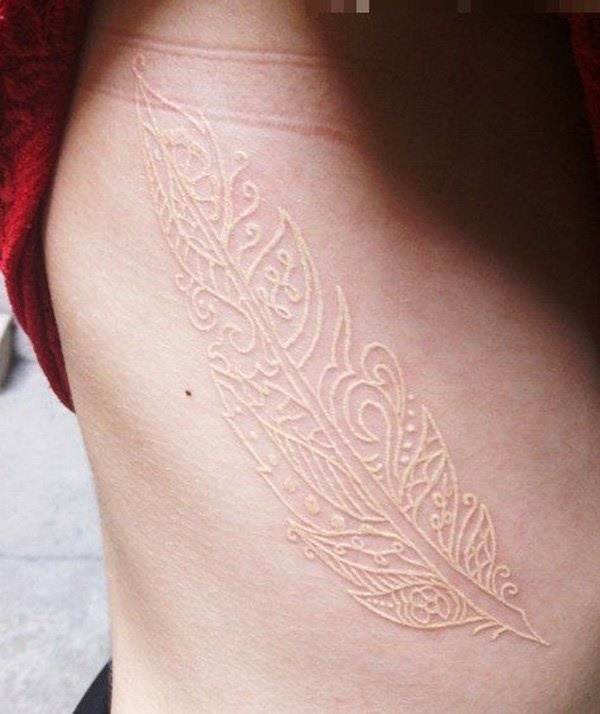 So if you want to get a white ink tattoo just go for it and don’t put your mind in anything else. 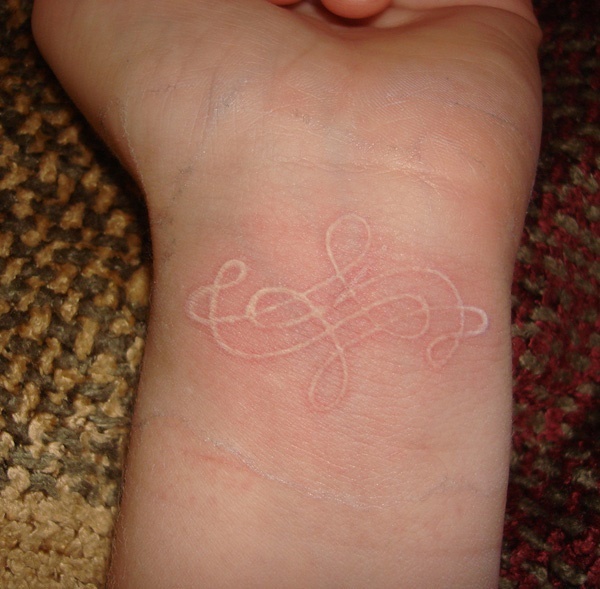 But yes, you will have to look for a good tattoo artist before you do it. 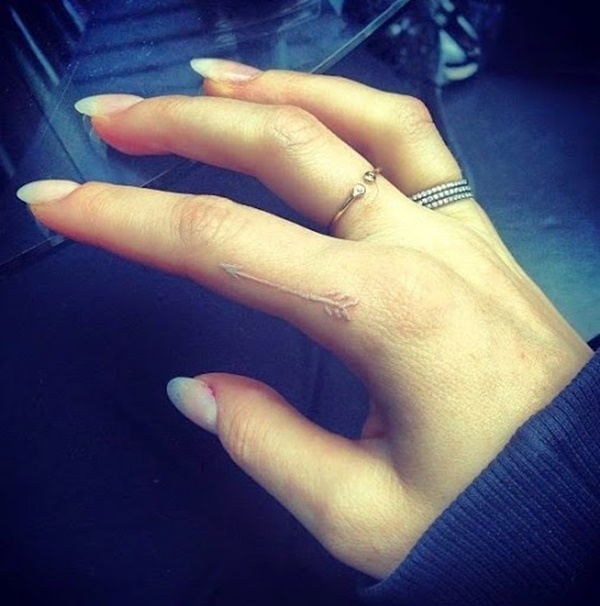 Your artist should understand what he is doing. 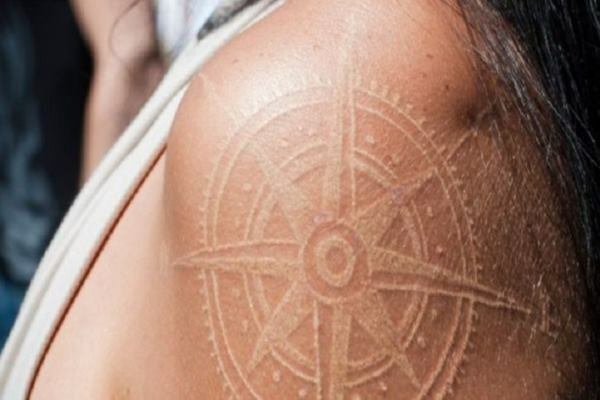 As you are making a permanent tattoo, be sure to know about the design and of course, you will have to know the details of caring a tattoo on your skin. 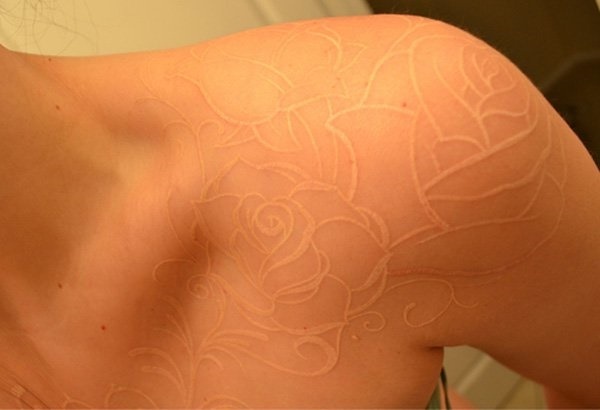 This will make your tattoo last longer.